Lucky Luciano was born on 24 November, 1897 in Lercara Friddi, Sicily, Italy. He became one of the most powerful crime bosses of 20th century. He came to the United States in 1906 with his family and settled in New York. He never married. He left school in the age of 14 and started delivering hats earning $7 per week. After winning $244 in a dice game, He quit his job and began earning money on the street. 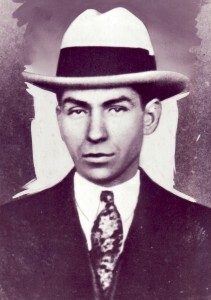 As a teenager, Lucky Luciano started his own gang and was the member of old Five Points Gang. At the same time, Luciano befriended Jewish gang members Meyer Lansky and his associate Benjamin “Bugsy” Siegel, who would become two of his most important allies. It is not clear how Luciano earned the nickname “Lucky” It is believed it came from surviving a severe beating by three men in the 1920s, as well as a throat slashing. Luciano got involved in the business of drugs which led to his first major run-in with the law. In 1916 Luciano was arrested and charged with selling heroin. He was convicted and served six months in a reformatory for the crime. By 1920, the eighteenth amendment to U.S. constitution was ratified and prohibition lasted until the amendment was repealed in 1933. He was enjoying life living large at New York’s luxurious Waldorf Towers under the name of Charles Ross. 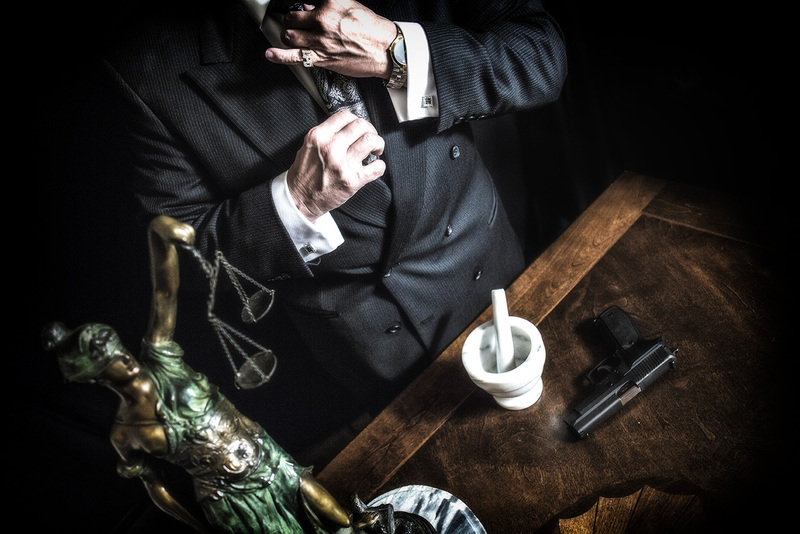 But the good times were about to end when in 1935 Thomas E. Dewey was selected to serve as the special prosecutor looking into organized crime. From 1916 to 1936, Luciano had been arrested 25 times on charges including: assault, illegal gambling, blackmail and robbery but he spent no time in prison. On June 18, 1936, Luciano went to New York State’s maximum-security prison at Dannemora.The jury agreed: guilty on all counts. Judge Philip J. McCook’s sentence: 30 to 50 years was the longest ever for compulsory prostitution. Luciano continued to lead Luciano Crime Family from the prison and conveying his orders through the acting boss Vito Genovese. Later Genovese fled to Naples, Italy to avoid and impending murder indictment in New York. Then Luciano appointed Costello as new acting boss for his organization. By 1957, Vito Genovese felt strong enough to move against Luciano and his acting boss Frank Costello. Costello, Luciano and Gambino met to discuss their plan of action. In his own power move, Gambino had deserted Genovese. After their meeting, Luciano allegedly paid American drug dealer $100,000 to falsely implicate Genovese in a drug deal which sent Genovese to prison On April 17, 1959; Genovese was sentenced to 15 years in the Atlanta Federal Penitentiary in Atlanta, Georgia. Genovese died of a heart attack at the United States Medical Center for Federal Prisoners in Springfield, Missouri. On January 26, 1962 Luciano died of heart attack at Naples International airport. Luciano had gone to the airport to meet an American producer regarding a movie about his life. After meeting with producer Martin Gosch, Luciano had heart attack and died. When you click the image above, you'll see 2 Icons appear beneath it. Clicking them takes you to the Amazon page. Left Image is Paperback, Right Image is Kindle Download.